Blizzards Are Coming to Chicago August 2 – Dairy Queen Corp.
Blizzards in August can only mean one thing- Miracle Treat Day! On Thursday, August 2, $1 or more from every Blizzard Treat sold at participating Dairy Queen locations will be donated to Ann & Robert H. Lurie Children’s Hospital of Chicago, the local Children’s Miracle Network Hospital. Last year, Dairy Queen locations raised over $139,385 for Lurie Children’s. 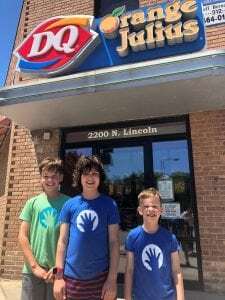 Patient Champion Benjamin, and his brothers, Teddy and Charlie, had a chance to make their own Blizzards at the Dairy Queen in Lincoln Park recently. 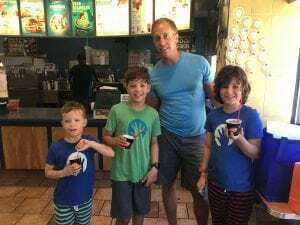 The brothers enjoyed getting to pick out their Blizzard ingredients and being able to make it with the help from owner Michael Scherer, pictured below. 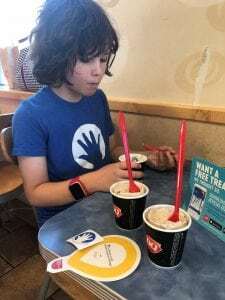 Visit miracletreatday.com to find your nearest participating location and enjoy a Blizzard Treat that not only tastes good, it does good!